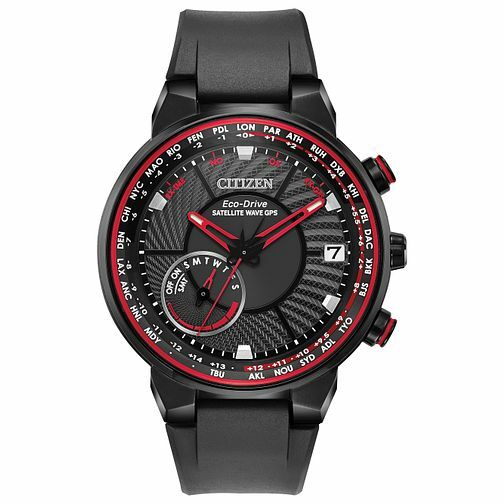 A robust timepiece by Citizen, this men's watch boasts an ion-plated case and smart black resin strap. The bold black dial presents red accents, such as the hands and outer ring detailing. Other features include a date display window at the 3-o-clock mark, a perpetual calendar, power reserve indicator and satellite GPS. A sophisticated watch powered by award winning eco-drive technology.